Most may know about Brooks Koepka’s recent weight loss . Yet, the fitness buzz was strangely coy about the reasons. Golfweek’s Eamon Lynch reports on Brooks alluding to the explanation behind said weight drop at the Masters press conference yesterday. Koepka says he hasn’t been in the gym or lifted weights in three weeks. The week of a major is usually a normal workout week for him, but not this time. “This will be more of a relaxing week,” he said, making him about the only contender in the field who feels that way. So weird if indeed a mere photo-shoot-vanity was the main reason behind going skeletal. GolfChannel’s Brandel Chamblee offers up a hotter sports opinion. 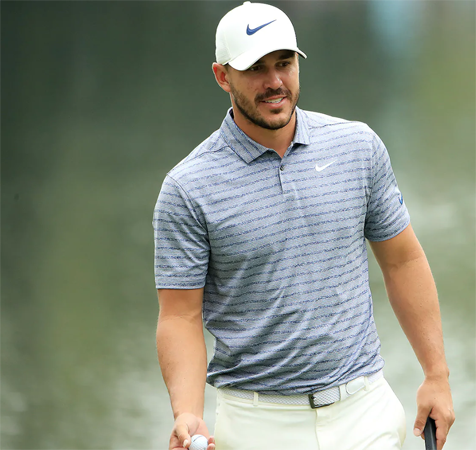 Share: Was Vanity The Reason For Brooks Koepka Weight Loss? You are here: The Blog / Was Vanity The Reason For Brooks Koepka Weight Loss?